Photographers “Marketing Mix” – Is There A Silver Bullet? There is no "ONE THING" that will magically work long term when it comes to marketing. Photographers, like any other business owner, have to keep a variety of marketing efforts going. It's important to have a good marketing mix. Even if a photographer is in the #1 organic spot on Google for every single keyword phrase imaginable, Google is not the only place any good business should focus on. If Google has one of their many shift rankings around updates and the rankings drop from #1 to page 2, that will be the end of that in a hurry. That's one great reason why PPC (pay per click) should also be included in the marketing mix as just one more online resource to potentially drive more business. In addition to Google Organic Rankings and Pay Per Click Advertising, there is also Yahoo and Bing, along with numerous social media platforms like Facebook, Google Plus and Linkedin just to name a few as well as sites like YELP that all play a role in the online marketing mix which is not an all inclusive list. Then, there is offline marketing efforts. One of the most affordable and sometimes FREE offline marketing efforts is BUSINESS networking. There are organizations like BNI and the Chamber that require membership fees and there are others like North Hills Networking and Business and Beers in the Raleigh area that are FREE. In addition to business networking, there are numerous other forms of offline marketing to think about. 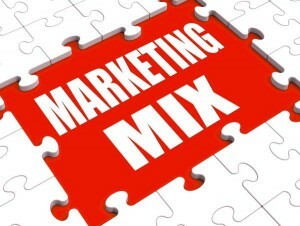 A good marketing mix at minimum will require a time investment and often times a financial investment. Unless someone has an enormous referral base that is extremely stable, it is highly likely that a mix of things will have to be included in a photographers marketing strategy because there really is no single sustainable silver bullet answer to marketing. What One Thing Can You Do To Propel Your Photography Business?